HSBC Singapore will be relocating its head office from its current premises at HSBC Building, 21 Collyer Quay, to Marina Bay Financial Centre (MBFC) Tower 2 from April 2020 to accommodate the company's rapid growth plans. The bank has said that it is planning a 10 per cent increase in its Singapore headcount across all business lines over the next three years. It has a current headcount of 3,100. 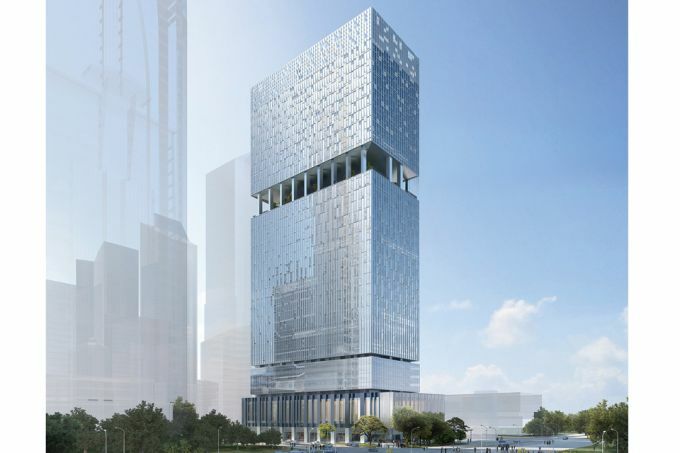 After the move, HSBC will occupy about 140,000 sq ft over the top floors of the 50-storey building. Fit-out work is expected to start in the second half of 2019, with target occupation by April 2020. This is a smaller space than the 200,000 sq ft that it currently occupies, but HSBC Singapore's CEO Tony Cripps said that it can accommodate more people because of the more efficient floor plates and the open-plan workspace that the bank is shifting to, which will allow more efficient use of space. At the same time, some of HSBC's operational staff will also move to its second site at Mapletree Business City at Pasir Panjang, where there are about 1,000 people currently. HSBC is currently the sole tenant of the HSBC Building, a 21-storey office tower with a leasehold estate expiring in December 2849. HSBC had sold the building to the landlord CapitaLand Commercial Trust (CCT) in 2005 and leased it back. On Wednesday, CCT said HSBC had signed a one-year lease extension with the trust, and agreed to a rental of S$27.7 million, or S$11.54 psf per month - higher than the original rent of S$20.4 million per annum or S$8.50 psf per month - for the extended term from April next year. HSBC has been located on the same site for the entire 140 years that it has been operating in Singapore, and has witnessed the teardown and redevelopment of the building all three times, the last one being in 1985. In its new home, HSBC Singapore will have signage rights to the building. It will also be investing "substantially" in the new workplace to create an environment that is conducive to collaboration and encourages innovation and an entrepreneurial mindset, though it declined to divulge the investment amount. Mr Cripps said that the bank wanted to upgrade the physical infrastructure to create a better work environment for its staff, but the aged building would need "a significant amount of infrastructure redevelopment" to get to the desired outcome. "That's not something that we know about in terms of the intent of the owners of the building. Also, from a timing point of view, even if that were to happen, it would take quite a long time to rebuild or upgrade the infrastructure here, so this move to the new building actually means we can do the upgrade in about 12 months." CCT had on Wednesday said it is evaluating options for the HSBC Building after 2020, which include refurbishment and reletting, redevelopment and divestment. Mr Cripps added that he has personally experienced working in an open-plan workspace in Australia, and claimed that the business there saw 20 per cent productivity gains from open work, as people collaborate more across business units and there was a greater exchange of ideas. MBFC is managed by Raffles Quay Asset Management, a joint venture between CK Asset Holdings, Hongkong Land and Keppel Land. Christine Li, senior director and head of research at property consultancy Cushman & Wakefield Singapore, noted that while cost has always been a major consideration, many businesses now prioritise the competition for talent over cost-cutting measures. "Accordingly, they are willing to shell out extra for prime office spaces with plush fit-outs to secure top talent and boost productivity. These relocations are often expansionary due to the increasing trend of providing large break-out areas and leisure amenities which enable their staff to rejuvenate and resume work with heightened focus and clarity." Year-to-date, the proportion of office space leased by banking and finance firms rose from 12 per cent in 2017 to 29 per cent in 2018, which shows that with better economic prospects, interest from the financial services and multinational banks has returned and will be sustained over the short to medium term. Coupled with demand from tech and co-working operators, prime office rents are set to extend the gains this and next year by another 10 to 15 per cent, Ms Li said. On Thursday, DBS Group Research analyst Mervin Song issued a report saying that news of HSBC vacating the building "is a disappointment" although the rent for the one-year extension is 36 per cent higher than the original rent. The building contributed around 4 per cent of CCT's monthly gross rental income as at end-June 2018. "Nevertheless, should CCT decide to continue owning the building, it has another two years to find a replacement tenant, which is ample time. Alternatively, given the higher demand for office buildings in Singapore with recent transactions at tight yields, there is potential for CCT to sell the building above book value," he said. He maintained a "buy" call on the trust at a target price of S$2.12. CCT units finished flat at S$1.74 on the market on Thursday. ALLIANZ is understood to have entered into a lease at ASB Tower, the new development coming up on the former CPF Building site in Robinson Road, at a gross signing rental of around S$11.50 per square foot (psf) a month. The deal is said to reflect a gross effective rent of close to S$10 psf a month after taking into account the rent-free period and other incentives. Office industry players noted that this is a substantial increase from the low-S$8 psf gross effective rent that new office space in the area used to fetch about 18 to 24 months ago. As pre-commitments and occupancies rise in Grade A office developments, landlords have been raising rents. "After three years of high volume of new office completions - from 2016 to 2018 - the pace of supply is expected to ease from 2019 to 2020," said CBRE executive director for office services, Michael Tay. At Frasers Tower in Cecil Street, which received its Temporary Occupation Permit in the second quarter of this year, more than 80 per cent of the 38-storey development's 663,000 sq ft net lettable office space has been committed. A few months ago, China Construction inked a lease for about 16,000 sq ft on a high floor at about S$10 psf gross effective monthly rental. At ASB Tower, Allianz is understood to have leased two low floors totalling slightly over 50,000 sq ft with an option to take up an adjoining floor. The 29-storey building is slated for completion in 2020. Word on the street is that the leading global insurance and asset management group may renew the lease for part of the 85,000 sq ft that it occupies at Asia Square Tower 2. This lease ends around mid-2020. Office market watchers said that Allianz's decision may be complex. About a dozen entities in the group with various reporting lines operate out of Asia Square. The bulk of these entities have decided to relocate to a new development with the rest possibly remaining at Asia Square Tower 2. Allianz is among a few MNCs that are likely to have taken a pro-active approach to address their future Singapore office lease expiry exposure, given the common market view that 2020 is likely to be the peak of the current office rental cycle, before new completions start to pick up again in 2021, said observers. BT understands from market sources that Savills acted for Allianz. ASB Tower is being developed by Ascendas-Singbridge Group, Mitsui & Co and Tokyo Tatemono Co.
Ascendas-Singbridge's coworking concept, thebridge, is also expected to operate in the building. Data from JLL shows that its average gross effective monthly rental value for overall CBD Grade A office space has risen 15.5 per cent from the recent trough of S$8.41 per square foot in the first quarter of 2017 to S$9.71 psf in Q2 2018. JLL's Marina Bay Grade A average office rental value has risen at a faster clip of 20.3 per cent over the same period, from S$9.39 psf to S$11.30 psf. "Grade A rents are expected to stay on the growth trajectory on the back of tightening supply amid steady demand," said Tay Huey Ying, head of research and consultancy at JLL Singapore. Song Seng Wun, economist at CIMB Private Banking, said that despite rising trade tensions, macro fundamentals remain supportive of office rental growth. "Why do companies need office space in Singapore? It is to expand business here or in the region or both. At current levels, Singapore office rents are a manageable proportion of total business cost. What has been a bigger concern for companies operating here is sourcing for labour and the cost of getting the right talent." Indeed, office rents here are much lower than they were during the pre-Lehman peak in 2008. JLL's overall CBD Grade A rental was S$15.27 psf and its Marina Bay Grade A rental at S$19.15 psf in Q2 2008. CBRE's Mr Tay highlighted that although landlords are using tightening office supply to jack up rents, demand fundamentals are not broad-based enough. 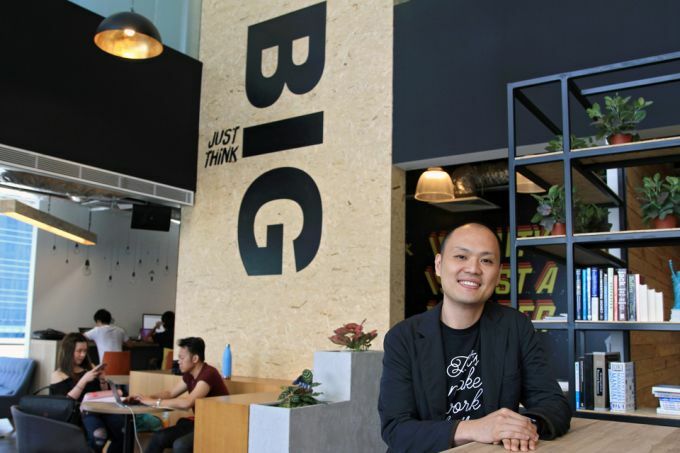 "One should be mindful that growth in rental demand for offices is still emanating from two main sources - tech companies and co-working operators," said Mr Tay. "Office demand from financial institutions, traditionally the major occupiers of CBD offices, is still slow by and large. Globally, banks are taking a conservative stance for their real estate footprint amid the disruption to the sector." Chris Archibold, head of leasing at JLL Singapore, noted that typically when new buildings come on the market, they have high vacancy rates and therefore offer some below-market rentals to secure occupancy. This, coupled with the cost savings on the back of efficiency gains from relocating to new buildings with bigger-floor plates, has driven a lot of leasing demand over the last 12-18 months. "Now that many of these prime grade A buildings have high occupancy rates and are therefore charging normal market rents, the efficiency savings are often not enough to justify relocation as they are negated by higher rental rates and capital expenditure." [SINGAPORE] AMID green shoots of recovery in the strata office market, a few whole-floor deals have surfaced recently in the Central Business District. 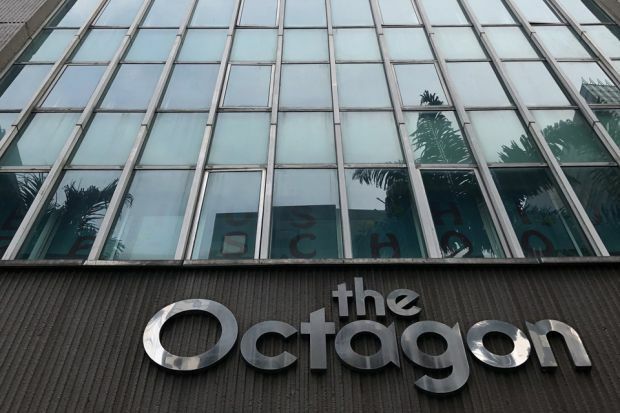 At The Octagon in Cecil Street, the family behind Indonesian conglomerate Central Cipta Murdaya (CCM) is shelling out nearly S$30.33 million or S$2,450 per square foot for levels nine and 10. BT understands that a Singapore-incorporated company owned by members of the Murdaya family is acquiring the two floors from a fully-owned subsidiary of The Singapore-Johore Express, controlled by the Lee family which is also behind listed Hotel Royal. The Murdayas already own the top two floors of the 25-storey freehold building. They use Level 25 as their office. Levels 9 and 10, which they are buying, are each 6,189 sq ft and add up to a total strata area of 12,378 sq ft. The space is mostly vacant and the Murdayas are expected to lease it out. The S$2,450 psf the family is paying for levels 9 and 10 is higher than the S$2,294 psf that it paid for Level 24 in late-2016. It picked up Level 25 for S$1,278 psf in 2009. Cushman & Wakefield brokered the sale of levels 9 and 10. Meanwhile, at Springleaf Tower in Anson Road, the 20th floor has changed hands for S$25 million or S$2,419 psf. The 37-storey building is on a site with about 77 years' balance lease. The seller is Hequ Trading, controlled by an Asif family, and is engaged mainly in trading bulk products such as palm oil, rice, margarine, shortening and soaps, according to information on its website. Hequ is a related company of The Royal Group Indonesia, which produces and distributes palm oil products. The buyer is understood to be a unit of a Hong Kong-headquartered company that supplies steel mill rolls. CBRE is understood to have brokered the deal. Knight Frank Singapore head of research and consultancy Alice Tan said: "There seems to be a gradual recovery in strata office transaction volumes in the first five months of this year, in the light of rising office rents especially in the CBD. "We are seeing more enquiries for strata offices since late last year - mostly from foreign investors; no additional buyer's stamp duty is payable for commercial property unlike for residential property." Sammi Lim, director of capital markets at CBRE, who brokered the deal at Samsung Hub, says the majority of those evaluating purchase of strata offices in the CBD are looking to occupy the space themselves. "This is especially against the backdrop of rising office rents, with the trend projected to continue in view of tighter office supply in the next couple of years." "For similar reasons, investors are also returning to the market with prospects of capital appreciation," she added. Ms Tan of Knight Frank said that foreigners keen to buy strata offices to set up their businesses here are from South-east Asia, Hong Kong and China. "Some are in trading; we have also seen those in financial-related services. They could be start-ups, while others are establishing a regional office here. "Of course another motivation for buying their office premises instead of leasing space is the potential of capital appreciation in the future. Prices of strata offices seem to have bottomed with 999-year/freehold properties in choice locations in the CBD leading the price recovery." THREE adjoining shophouses at 33 Liang Seah Street have been launched for sale via private treaty at S$30 million, while six conservation shophouses at Desker Road are up for auction. In a press statement on Thursday, marketer for the Liang Seah shophouses, Colliers International, said the three units, which are held under a single land title, sit on a 2,694 square foot (sq ft) site within the Beach Road Conservation Area. The estimated total gross floor area (GFA) stands at 11,500 sq ft, and the site is zoned "Commercial and Residential", with a gross plot ratio of 4.2 under the Master Plan 2014. The land also has a 999-year lease tenure beginning from 1827. According to Colliers International, the buildings underwent extensive redevelopment works in 1997 when the shophouses were rebuilt, and the external facade was reinstated to its original specification. Located opposite Bugis Junction mall, the property is within walking distance from Bugis MRT station. "The rare 999-year tenure of these shophouses and their prime location in the city centre will boost its potential for asset value retention and future capital appreciation," added Mr Tan. Said Colliers International: "The property is currently multi-let with potential upward reversionary rents through repositioning." Separately, PropNex on Thursday also announced the auction of a batch of six freehold conservation shophouses in Little India. The corner unit and five adjoining units at Desker Road were bought by their current owner in 2010 for S$10 million. Farrer Park and Jalan Besar MRT stations are a short walk away, while shopping malls like City Square Mall and Mustafa Centre are within the vicinity. Marrison@Desker - a 25-room hotel - operates on the second floor of the shophouses. There are also F&B (food and beverage) and retail units on the first level. Taken together, the six shophouses occupy a total land area of 619.1 square metres (sq m), and a total build area of about 1,140 sq m. Their auction will be held on May 31. Shophouse prices have appreciated significantly in the past year or so. What's fuelling interest in these prime conservation properties? A NICHE market often bypassed by real estate investors due to its specific guidelines on use, the prime conservation shophouse market in Singapore's city core has been buzzing with activity of late. Shophouses in the CBD and Chinatown (the old postal districts 1 and 2) have seen increased transaction activity, along with price appreciation since the second half of last year. These properties, costing anywhere from S$7 million to S$25 million each and housing tenants ranging from hipster bars to au courant restaurants to boutique offices, are sometimes compared to Good Class Bungalows (GCBs) for their scarcity value. But there is a key difference between the two property segments which also explains their appeal: whereas foreigners are not allowed to buy landed homes in GCB Areas, they may acquire shophouses on sites that are fully zoned commercial. This gives them ownership of the land title, and therein lies the attraction of such shophouses to foreigners. One investor also tells BT he prefers to park his money in commercial shophouses instead of residential properties, as "yields are higher; moreover there is no additional buyer's stamp duty, it is easier to get financing and no stamp duty payable on exiting the investment". The heightened activity this year is partly led by supply. A substantial portfolio of shophouses in the Boat Quay/Circular Road and New Bridge Road areas was put on the market by the family of the late Teochew businessman and philanthropist Lee Wee Nam. The nine shophouses and one commercial building were snapped up in March for S$82.5 million by homegrown property investment group 8M Real Estate. Positive sentiment from the overall improvement in the property market and more sanguine economic outlook has also spilled over to the shophouse segment; investors are being drawn by prospects of further price appreciation. "Five years ago, freehold/999-year leasehold shophouses in Districts 1 & 2 (D1 and D2) were typically trading between S$2,000 per square foot (psf) and S$2,500 psf on built-up area. This has since increased to about S$2,750-S$3,250 psf in late 2017 till now," says Clemence Lee, associate director of capital markets at JLL. D1 includes areas such as Boat Quay, Club Street, Amoy Street, Telok Ayer Street, Temple Street and Pagoda Street. D2 includes Bukit Pasoh Road, Jiak Chuan Road, New Bridge Road, Keong Saik Road and Teck Lim Road. Along Tanjong Pagar Road, in District 2, the steady price rise in the past couple of years is apparent in three transactions along the same stretch: from S$2,166 psf for Nos 15-23 in 2016, to S$2,400 psf for Nos 29 and 31 in 2017, to S$2,466 psf for Nos 25 and 27 earlier this year. This translates to a total price gain of nearly 14 per cent over two years. All the shophouses in these three deals are on land with the same tenure: 99 years starting December 1994. The big owners of conservation shophouses in Districts 1 and 2 include homegrown outfits 8M and Clifton Partners, SilkRoad Property Partners, Hongkonger Tony Chen of Arcc Holdings, Spanish tycoon Ricardo Peralta and Stanley Quek of Region Development. 8M, whose shareholders comprise Ashish Manchharam and institutional investors, owns more than 40 shophouses in Districts 1 and 2 worth about S$500 million - bolstered by its recent S$82.5 million acquisition. Set up in 2014, 8M has so far not sold any of its properties. Mr Chen, who owns 60 conservation shophouses in Chinatown, Kampong Glam and Little India, is a long-term investor. "We are passionate about heritage shophouses. Owning a conservation shophouse is like owning a piece of unique artwork sitting on land. It has to be preserved," says the Singapore PR who has been living here for 30 years. Clifton Partners and its affiliates currently own 14 shophouses in D1 and D2 - with a combined value of about S$250 million. "We look for conservation units with potential for value adding and restoring to their original condition, boosting rentability in the process," says Zain Fancy, who owns Clifton. He was formerly Morgan Stanley's Asia real estate investment head. In the past five years, the group and its affiliates have sold 15 conservation shophouses for close to S$160 million. "We more than doubled our investment. The lowest pretax internal rate of return for a monetised shophouse was in the low-double digits per annum," says Mr Fancy. Sammi Lim, director, capital markets, CBRE, says: "The investment outlook for conservation shophouses remains healthy. URA's conservation framework and guidelines will ensure that the capital values of these assets hold steady. "Their scarcity and sound real estate fundamentals have bolstered investors' confidence that these heritage assets are prized and worthy of long-term investment." Yet, agents say yields for commercial shophouses in the CBD have fallen over the past year as rental increases have not kept pace with price gains. For freehold/999-year leasehold shophouses, gross yields have eased from 3 per cent a year ago to 2.5-2.7 per cent. For 99-year leasehold shophouses, yields have slipped from 3.5 per cent to 3 per cent, said Mr Lee of JLL. Rents for food and beverage (F&B) outlets on the ground floor of shophouses in D1 and D2 have remained flat in the past year, while rents for office space (typically on the upper levels of shophouses) have inched up a few per cent. Perhaps for this very reason, shophouses continue to attract tenants. According to JLL's data, it costs about 20-30 per cent less to rent ground-floor F&B space in shophouses in D1 and D2 compared with leasing the same amount of space in a nearby mall or mixed-development. "This is partly because there is no gross turnover (GTO) rent component in shophouse leases; tenants pay only a fixed rental," says the property consulting group's national director of retail Gary Nonis. An F&B tenant can expect to pay S$10,000 to S$48,000 in monthly rental for ground-floor shophouse space of 800 to 4,000 sq ft (or about S$12 psf on average) in D1 and D2 - against S$14,000 to S$65,000 (including the GTO rent component) in a mixed development in the financial district. The prime street frontage and flexibility of operating hours also draw tenants, says Knight Frank executive director Mary Sai. "There is also more flexibility on the way you do your layout and how you dress up the shop - unlike in a shopping mall. For a shophouse, although you have to follow URA guidelines, your facade can be quite different; you don't need to be consistent with your neighbour." Mr Nonis points to other reasons why it makes good sense for restaurants to be in shophouses: "While F&B operators in a mixed development often rely on a captive crowd (office workers in the building) and patrons from nearby properties, the downside of operating within a mixed development, specifically within the CBD, is that it is usually a weekday trade. "On the other hand, shophouse clusters attract not only those who work in nearby developments but also tourists." Mr Lee says that malls draw the usual F&B tenants and tend to be more homogenised; conservation shophouses make for more experiential, destination lifestyle offerings in a heritage setting. "The younger generation likes the idea of finding a hidden restaurant or bar." Tenants looking for non-conventional office space - at rentals much lower than prime office buildings - have also flocked to shophouses. Office tenants leasing space on the upper floors of shophouses in the financial district can expect to pay about S$5-8 psf a month for say 1,000 to 5,000 sq ft, depending on the quality of the shophouse and its location - lower than the S$10-12 psf for similar-sized space in prime Grade A office buildings, says JLL's regional director of markets Tahlil Khan. "Shophouses tend to draw occupiers that do not require the conventional corporate image of being in an office tower - including media and PR/advertising firms, smaller law firms, tech companies and business incubators," he added. Co-working space operator The Working Capitol is one that has taken to shophouses in a big way. It signed master leases of longer than the standard three years at 1 and 3 Keong Saik Road and for the second-level space at the neighbouring 120 and 122 Neil Road, giving it a total gross floor (GFA) area of 40,000 sq ft - enough to pack in 400 seats (from hotdesking to dedicated offices) catering to solo-preneurs to MNCs, an events venue that can seat 200 people, a cafe and four restaurants. "Over here, our operation is so synonymous with the neighbourhood; the shophouse architecture and street landscape are such an integral part of our identity. It evokes a more emotional response compared with a glass office tower in the CBD," says The Working Capitol chief executive and co-founder, Benjamin Gattie. The group has also leased all of 89 Neil Road which will give it an additional 25,000 sq ft GFA (for a further 300 seats) plus a 7,000 sq ft roof terrace; and has begun to operate in this space in phases since last month. Apart from interesting restaurants and trendy offices, a row of adjoining shophouses also makes for a unique boutique hotel experience. Garcha Hotels acquired 28 conservation shophouses in three locations in 2012-2013 for a total S$148 million and spent a significant sum restoring them into three luxury hotels. Two are already operating: The Vagabond Club - a Tribute Portfolio Hotel in Syed Alwi Road and Six Senses Duxton. The third, Six Senses Maxwell, is slated to open later this year. "For all three properties, on average, it has taken us about a year longer than we originally anticipated to restore the properties; they were full-gut renovations," says Satinder Garcha, chairman and CEO of the group. "The biggest challenge is working within the conservation guidelines. The costs are generally higher; it is a lot more expensive to restore per square foot within a shophouse than to just build a new building - because there is a lot more complexity, and other than that, in the case of two of our three properties, putting it to a use that it was not originally built for. It is like working with a jigsaw puzzle. But then it is very rewarding to see it turn out actually." Mr Garcha notes that conservation shophouse prices in Singapore have gone up significantly in the past five to seven years because of the scarcity value. "And because of the heritage value, the appeal of these properties continually grows upon people. And I don't see that changing. I still see conservation shophouses as good investments for the long term." There are about 6,760 shophouses in Singapore gazetted for conservation. They make up the bulk of the nearly 7,200 buildings gazetted for conservation. "This is no mean feat for a small island and land-scarce city-state with competing land use needs. It is a testament to the importance we place on our built heritage and a holistic urban planning approach," says Teh Lai Yip, senior director, conservation, at the Urban Redevelopment Authority (URA). She was part of the team led by by Koh-Lim Wen Gin in the 1980s that championed the conservation cause. Mrs Koh-Lim retired as chief planner and deputy chief executive of URA in December 2008. "Many other cities envy us," says Mrs Koh-Lim. "We are so small, with limited land and yet we can do conservation in a comprehensive way and there's enough critical mass and presence." Nearly half or 3,320 of the 6,760 conservation shophouses are in the Historic Districts of Boat Quay, Chinatown, Kampong Glam and Little India. "Together as a district or as a street, I think these shophouses enhance the physical environment, the streetscape. Their presence enhances the built environment." For instance, the low-rise shophouses along Boat Quay provide 'urban windows' for the high-rise office buildings behind. "So for the city as a whole, there is all this porosity, so the built environment as a whole is enhanced. Imagine if all the areas where you see conservation shophouses today were high-rise; there would be no breathing space," says Mrs Koh-Lim. Architectural historian and anthropologist Julian Davison says: "The shophouse is very much a cultural signifier for Singapore. "A large part of Singapore's identity is wrapped up in its history as a port city in the late 19th and early 20th centuries and the ubiquitous shophouse defined the urban fabric of the city in that period and continued to do so until the early days of independence." Post-independence, despite the pressures for redeveloping the city, the authorities managed to safeguard some precincts of shophouses in the Historic Districts. Says Knight Frank's Ms Sai: "Shophouses remind us of our historic background, the immigrants who came here and wanted to have their accommodation and business in the same premises." Ms Sai herself grew up in a shophouse. Her family used to run a coffeeshop downstairs and lived upstairs. That property was part of a row of shophouses right at the end of Tanjong Pagar and Anson Road - which was later torn down to make way for the container port. "It was fun growing up in a shophouse. Amenities were just a few doors away. You had a barber shop, a prawn noodle shop, provision shop; there was even a wet market selling pork and vegetables within a shophouse. If you lived next to a pet shop selling birds, you would hear parrots repeating orders being shouted at the nearby coffeeshop in Hainanese." Simon Monteiro, associate director of heritage buildings at Savills Singapore, who has been selling shophouses for nearly 25 years, says: "A conserved shophouse is like a time capsule. Each shophouse that has been gazetted for conservation brings you back to that era, what the architecture was at that time, the story of how our forefathers lived..."
Some feel however, that certain areas have lost some of that hallowed charm. Mr Monteiro suggests it would be timely for the authorities to take a closer look at the tenant mix in certain conservation areas. "Today, there are too many Korean restaurants in Tanjong Pagar; it's like Little Korea." "Perhaps, URA should adopt some sort of quotas on tenant mix in the Historic Districts to ensure they reflect the heritage of the place. I don't think we want tourists to label our heritage area as Korean Town. "URA should research to create a balanced tenant mix, and educate owners that the objective of conservation is to show to the world our roots through these shophouses." In a similar vein, Mrs Koh-Lim says: "For each of these Historic Districts, URA needs to play a more pro-active role in the place management; it needs to review the land-use control instead of just stating a broad category like 'commercial'. "Perhaps it is timely to review and ask ourselves whether we should narrow down the kinds of trades to allow in these premises. After so many decades now, we should review and retake a new position, if you ask me. If you have the will, this can be done. "You can have a five-year plan; it may not be feasible to implement things immediately, but gradually, you could encourage the owners and guide them back to retain some of the charm and character of the place. "But it cannot be back to the 'good old days' for sure because some trades have vanished. Only the viable traditional trades that are still in demand - like medical halls, shops selling herbs, dried goods, traditional confectionery shops, etc - can afford the rentals." SINGAPORE - Co-working space operator Impact Hub Singapore - said to be a pioneer in the business here - has rebranded as Found. Found said on Wednesday (May 2) that the rebrand concludes the company's tenure with the global Impact Hub network, and marks its next steps in establishing itself as an independent, home-grown and South-east Asian brand. Found added that it continues to be supported by longstanding partners and investors, including Lee Han Shih, the Pangestu family of Barito Group and RB Group. The company has built a community of 2,500 members and alumni, who collectively have raised more than S$380 million. As part of the rebrand, Found will deepen its Members Growth services, which include coaching, mentoring and partnership programmes for its entrepreneurs. Since the company's founding in 2012, it has supported more than 75 organisations, such as DBS Bank, NTUC, P&G, Cartier, Liberty Mutual and JP Morgan, in their corporate innovation agendas. Found will also extend its innovation-building capabilities to more firms based in Singapore and South-east Asia. To kick-start its corporate innovation expansion plans, Found will launch a third co-working space in Amoy Street. The new 22,000 sq ft flagship campus, slated to open in September, will feature a 250-capacity event space, dedicated team rooms for corporate innovation teams and flexible spaces for fast-growing businesses. Found said: "It will be home to a 50:50 mix of corporate innovation teams and high-growth start-ups - the first of its kind for any innovation hub." AIMING to cash in on the upturn in the Singapore office market, Alpha Investment Partners and City Developments Ltd (CDL) are understood to have put Manulife Centre in Bras Basah Road, and 7 & 9 Tampines Grande up for sale through separate expressions of interest exercises. The total price tag of the two assets exceeds S$1 billion, The Business Times understands. The vendors are looking at prices in excess of S$550 million for Manulife Centre, which works to about S$2,270 per square foot based on the 11-storey commercial building's net lettable area (NLA) of about 242,000 sq ft. The building has retail space on street level and offices above. Manulife Centre is being offered on a remaining leasehold tenure of about 97 years. For 7 & 9 Tampines Grande, comprising a pair of eight-storey office buildings with retail units on the ground floor, the asking price is in excess of S$450 million - translating to around S$1,565 psf on the NLA of nearly 288,000 sq ft. The property is on a site with about 88 years remaining lease. Key tenants include Hitachi, NCR and Daikin; the occupancy rate is said to be around 93 per cent. These two properties are part of a trio acquired by a 60:40 joint venture (JV) between Alpha Asia Macro Trends Fund (AAMTF) II and CDL under a "profit participation securities" or PPS exercise in December 2015. The third asset is Central Mall (Office Tower) on Magazine Road. CDL sold the three properties for about S$1.1 billion under the PPS exercise. Manulife Centre is a 999-year leasehold property and Central Mall (Office Tower) is a freehold asset. What CDL sold in late-2015 with regard to each of these two assets was a 99-year leasehold tenure, with the property group having reversionary interest of each property at the expiry of the 99 years. For 7 & 9 Tampines Grande, which CDL developed on land bought at a state tender, what it sold under the PPS exercise was the remainder of the 99-year leasehold interest that started on Aug 20, 2007. 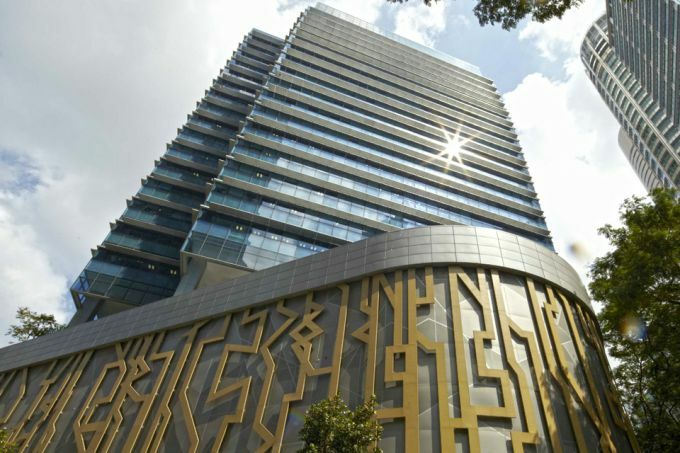 The EOI exercise for Manulife Centre, which is being handled by JLL and Savills, will close in the first half of May, while that for 7 & 9 Tampines Grande, being marketed by JLL and Cushman & Wakefield, is slated to close in June. The earlier-than-expected recovery in Singapore office rents that began last year has helped to fuel investment sales of a string of office properties on the island. Under the PPS deal, the AAMTF II-CDL JV paid S$487.5 million for the 99-year leasehold interest in Manulife Centre and S$366 million for the Tampines Grande property, which at the time had 91 years' remaining lease. The PPS was structured with a five-year life span, although this can be extended. So, at the outset, the plan was for the AAMTF II-CDL JV to sell the three assets by the fifth year. In late-February this year, CDL's chief executive Sherman Kwek acknowledged that exiting from these office properties would reap "handsome profits" given how the capital values of office properties have jumped since 2015. Under the PPS structure, from the proceeds of the asset disposal, the first priority would be to repay bank borrowings, followed by repaying AAMTF II its capital, then a preferred return to AAMTF II amounting to a total internal rate of return of up to 12.6 per cent per annum. Only after this will CDL be repaid its capital investment. Thereafter, whatever cash flows remain will be split between CDL and AAMTF II 60:40. This is the reverse of the ratio of their respective capital outlay and was aimed at incentivising CDL to maximise returns. Manulife Centre has an attractive city-fringe location, flanked by two MRT stations: Bencoolen station on the Downtown Line and Bras Basah station on the Circle Line. The building is understood to be around 95-98 per cent let, with anchor tenant Manulife occupying about 100,000 sq ft, or about half of the building's office space. The insurer will be relocating to 8 Cross Street later this year; its lease at Manulife Centre expires next year. This would be seen as a drawback by some potential investors but could also be viewed positively as it creates the opportunity for the new owner to sign fresh leases in a rising office rental market. Moreover, a well-located building, albeit not in a traditional office district, with a big vacancy coming up could suit a buyer looking for its own premises to house its corporate headquarters. It could potentially upgrade the building and plant its name on it. There is also potential to boost the building's lettable space by scrapping excess car park lots. The retail space can also be expanded from just the ground level currently to the second level or even the third level. Retail space typically fetches higher rents than offices. As for 7 & 9 Tampines Grande, it is in the heart of Tampines Regional Centre and a stone's throw from the Tampines Station on the Downtown Line. Completed less than 10 years ago, the property was awarded Green Mark Platinum status by the Building and Construction Authority. An incoming buyer could potentially seek approval from the authorities to strata subdivide the property into smaller units for sale.